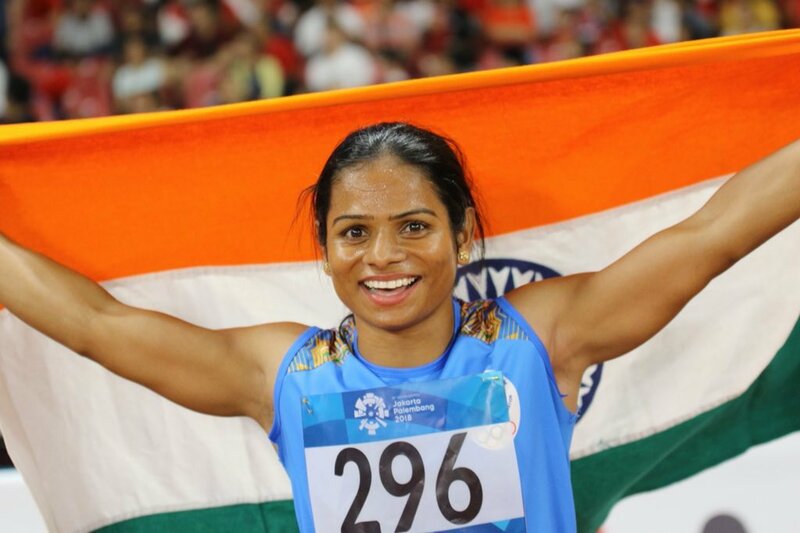 In a magnificent run, India’s Dutee Chand won Silver Medal in Women’s 100m race at the ongoing Asian Games 2018. This is the first medal by an Indian female athlete since P.T. Usha won in 1986. Dutee won the medal with a timing of 11.32 second and narrowly missed the gold medal. With 11.30 second Edidiong Odiong of Bahrain bagged the gold medal while Chinese sprinter Wei Yongli earned the bronze medal. Meanwhile, congratulatory messages have been poured in for her from all quarters. The Chief Minister of Odisha Sri Naveen Patnaik; Union Sport Minister Colonel Rajyavardhan Singh Rathore and Founder of KIIT & KISS Dr. Achyuta Samanta have congratulated her for achieving such an outstanding feat. In fact, Dutee Chand, a native of Jajpur district of Odisha is the student of Bhubaneswar-based KIIT Deemed to be University.